Since Boston North Limousine opened it's doors in 2001, we have been providing the standard in luxury travel. Whether you're traveling for business, getting away for pleasure or scheduling a meeting for your employees and clients, sit back, relax and let Boston North Limousine take you there in style. Choose from executive sedans, stretch limousines, limo buses and coaches, stretch SUVs and business vans. Boston North offers the best rates in the industry. Our drivers are courteous, professional and rigorously trained; our vehicles are clean, spacious and luxurious and our first priority is your satisfaction. Join our mailing list below and receive special offers and promotions! Sign up by July 1st for a chance to win a FREE NIGHT OUT IN BOSTON IN A LIMO FOR YOU AND 9 FRIENDS (a $390 value)! 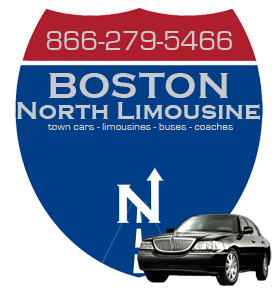 Boston North Limousine does not spam or sell email addresses, ever. Also, you can opt out of our mailing list at any time. Prices vary by vehicle and location, please call for a quote specific to your event/occasion.